Top 5chipest cars of 2018, what gets the best gas mileage? 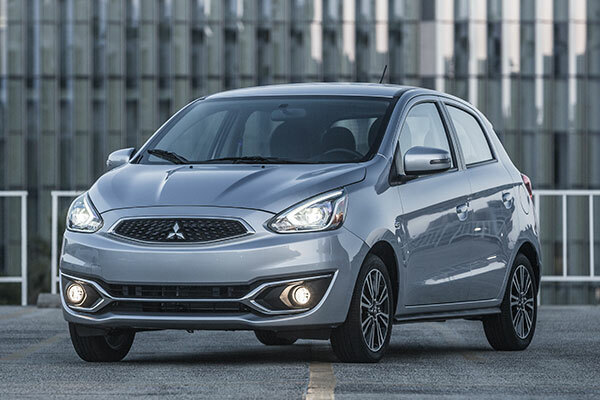 The 2018 Mitsubishi Mirage is available as a five-door hatchback or G4 four-door sedan. The tiny 1.2-liter naturally aspirated three-cylinder engine produces a scant 78 horsepower and can be paired with either a CVT automatic or five-speed manual transmission. The Mirage is admittedly underpowered, but that comes with the low entry price and a ten-year/100,000 mile powertrain limited warranty provides peace of mind. The five-door hatch allows for 17.2 cubic feet of cargo space behind the back seats and 47.0 cubic feet with the seats folded down. 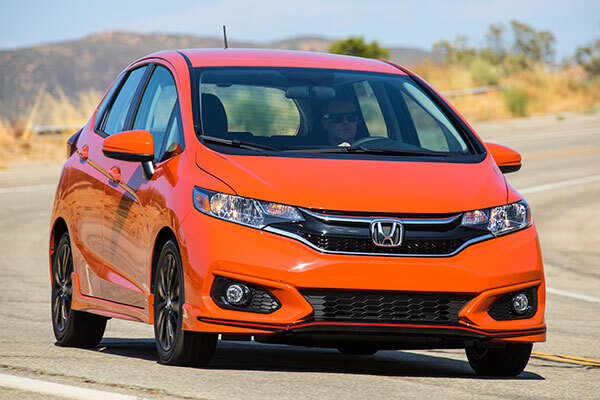 The five-door hatchback 2018 Honda Fit is equipped with a 1.5-liter naturally aspirated four-cylinder engine mated to a CVT automatic or six-speed manual transmission. The engine is rated at 130 horsepower with the manual and 128 HP with the CVT. The Fit’s interior is cavernous and versatile, with 16.6 cubic feet of cargo space behind the back seats and a generous 52.7 cubic feet with the “Magic” seats folded down. 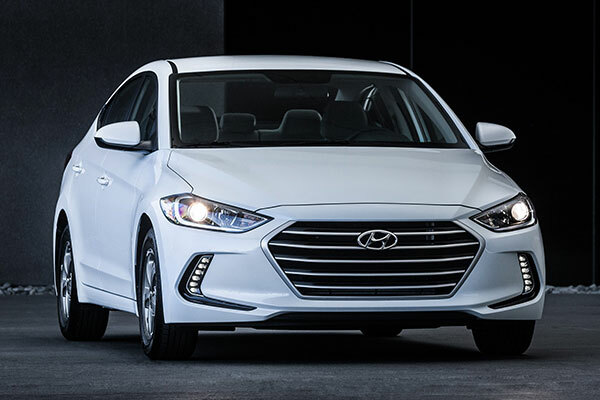 The four-door Elantra starts at $16,950, but you may want to opt for the Eco sedan ($20,550), as it’s the most fuel-efficient conventionally-powered vehicle in the 2018 Hyundai lineup. The Elantra Eco’s turbocharged 1.4-liter four-cylinder engine produces 128 horsepower and is paired with a seven-speed dual-clutch automatic transmission. The 14-gallon fuel tank provides a generous amount of driving range, and the trunk allows 14.4 cubic feet of cargo capacity. 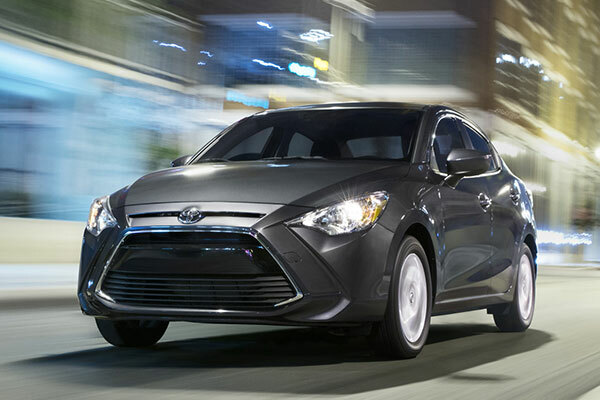 The four-door 2018 Toyota Yaris iA sedan is based on the Mazda2 and is one of the sportiest inexpensive cars available in the USA. It’s fun to drive and a lot of car for the money, with a host of safety technology included as standard equipment. The 106 horsepower 1.5-liter naturally aspirated four-cylinder engine can be paired with a six-speed manual or automatic transmission. The trunk provides 13.49 cubic feet of cargo space. 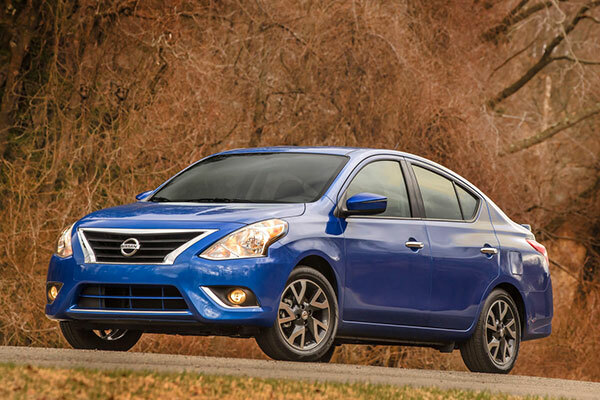 The 2018 Nissan Versa sedan is the least expensive new four-door sedan in America. The 1.6-liter naturally aspirated four-cylinder engine produces 109 horsepower. It’s available with a CVT automatic or five-speed manual transmission. The trunk provides 14.8 cubic feet of cargo space. hback. It uses the same 109 horsepower 1.6-liter four-cylinder engine as the Note Sedan, but unlike the sedan, a manual transmission is not available. There’s 18.8 cubic feet of cargo space behind the rear seat and 38.3 cubic feet with the seat folded down.